PRESSURE is mounting on Scotland’s licensing boards to review their policies on Sunday opening hours, after Edinburgh decided to allow pubs to apply for an 11am licence on Sunday mornings. Patrick Browne, chief executive of the Scottish Beer & Pub Association, told SLTN the Edinburgh decision “focuses attention” on the small number of boards which have retained 12.30pm opening for pubs on Sundays. “By my reckoning there are only about six boards left that still stick to a 12.30pm opening on a Sunday,” said Browne. “Most boards have already moved over the last few years and we’ve welcomed that on previous occasions. Browne praised the Edinburgh board for its decision to allow operators to apply for an 11am opening time on Sundays. “I am a member of the Edinburgh licensing forum and it’s an issue we’ve been pressing on for the last three years,” he said. “The significance is the Commonwealth Games coming up next year. The Edinburgh decision on Sunday opening was also welcomed by John Duncan, area manager at independent operator The Shilling Group. He told SLTN that the company, whose portfolio includes Edinburgh outlets The Fountain, Bar Kohl and Thomsons, would be applying for 11am opening times across its estate. “It’s mainly for early football kick-offs and it’ll help when the rugby’s on, particularly the Six Nations,” he said. 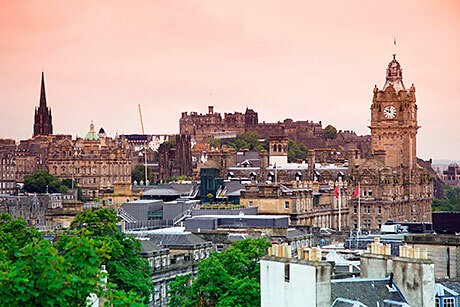 Councillor Eric Milligan, convenor of Edinburgh licensing board, said the decision to change the board’s policy “followed careful consideration and numerous requests from the traders and members of the public”. “Each application will be considered by the board on a case-by-case basis,” he said. Licensing boards in East Dunbartonshire, Renfrewshire and South Lanarkshire are believed to be among those currently sticking with a 12.30pm opening time for pubs on Sundays. Image – Edinburgh pub operators can now apply to open at 11am on Sundays.